I liked the indiana jones style concept (especially with teh ball, haha! Totally saw that one coming). I just got stuck in one of the sliding blocks (see picture), so had to restart the game twice. But besides that little thing I liked this level. 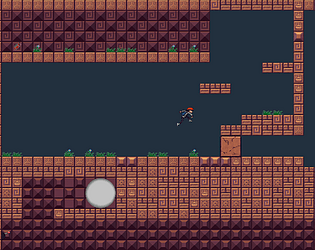 You got some of the core mechanics done, now just build levels and interesting puzzles! Maybe also add some puzzles where you the order in which you destory stuff is very importing for finishing. I'm interested to see where this is going. Possible features: control explanation & restart button. Good job on finishing! I fell of the edge of the level. I guess that was the end. Overall it was pretty impressive. You should keep working on it. At first I didn't know I had to find bombs. I tried to just detonate without having a bomb. Then after detonating the first bomb I figured out they only work on the boulders. There were absolutely no instructions presented when I started the game, so I had no idea how to get past the very first obstacle. 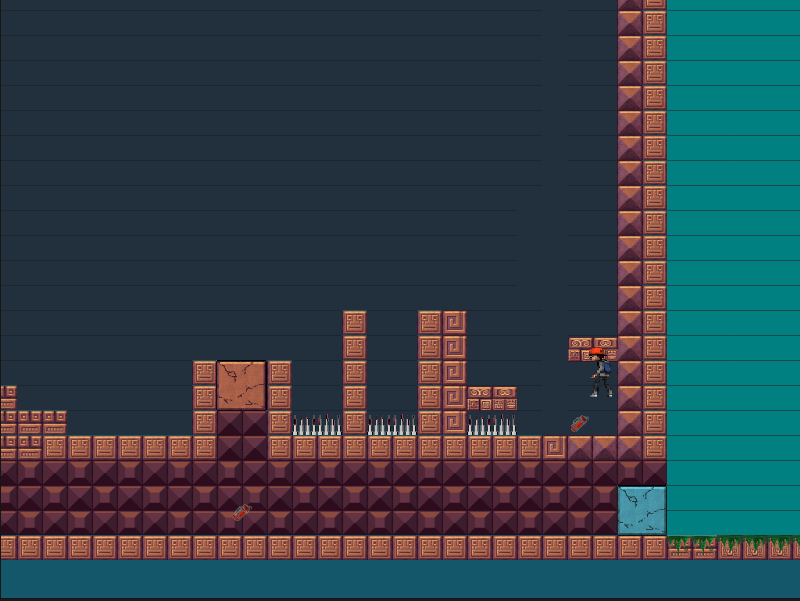 Controlas are good, gor my platformer level anyway :D Can be start of an interesting game. Really atmospheric background music and sounds. It would have been nice to have reset button and some sort of End Game screen, but that's not a big deal.